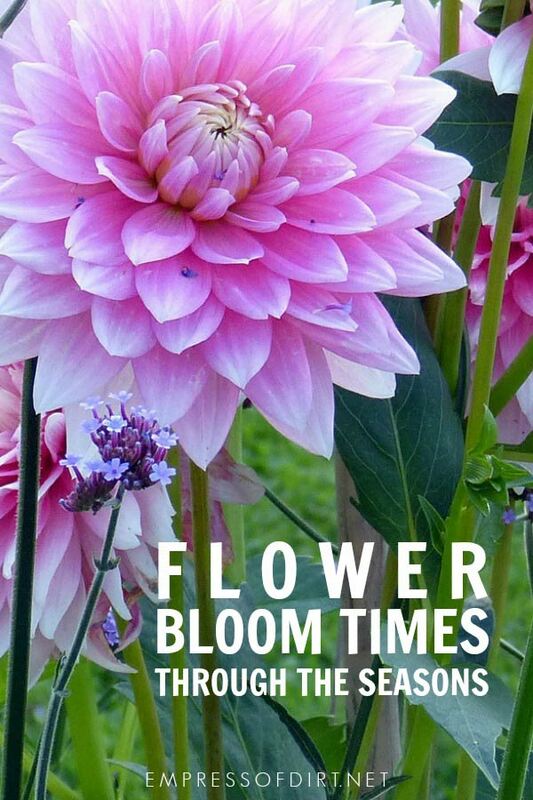 If you love flowers and want continuous blooms in your garden, this is for you. 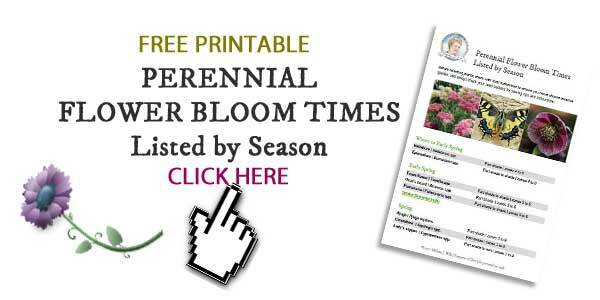 This handy, printable chart lists popular, flowering perennials, and their bloom times through the seasons. It also provides preferred sun/shade conditions and general growing zones. Greetings, fellow flower fans! I can never have enough blooms in my garden. Please use this list as a starting point for filling your garden with flowering plants throughout the growing seasons. I am in southwestern Ontario, Canada (zone 6), and these plants are available at local garden nurseries. Most are hardy for zones 4 to 8. If you need to look up your zone, see the links below. Before you choose plants, it’s important to learn about invasive species in your area and avoid them. Sometimes invasive plants are sold at nurseries so it’s best to find your local conversation authority, or invasive species monitor, or similar agency, and rely on their recommendations and warnings. This list is generalized. There are so many plant species sold for home gardens, and many derivatives (cultivars, hybrids, related species). Each may have its own preferences so it’s best to check the information on plant tags and use that as your guide. You want to follow the planting advice (sun, soil type, location, drainage) and note when and how long the blooms should last. Also, if you’re buying a plant when it’s in bloom, keep in mind that it may have been coaxed by greenhouse conditions. 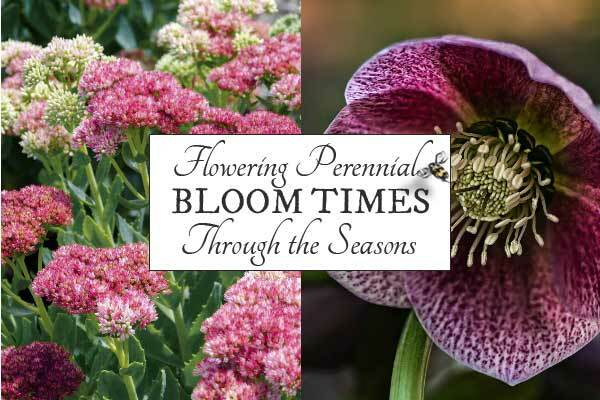 The plant will need time to adapt to your garden and find its natural bloom time the following year. Finally, if you avoid invasives, read tags, and follow good organic gardening practices, what happens in your garden is your best reference for future choices. Micro-climates within a garden with variations in light, water, and soil can all alter the life cycle of plants. I like to take photos and jot down notes throughout the blooming seasons for future planting decisions. Scroll down to view the list. You can also grab the free printable file. New to downloading files? See the easy instructions here. 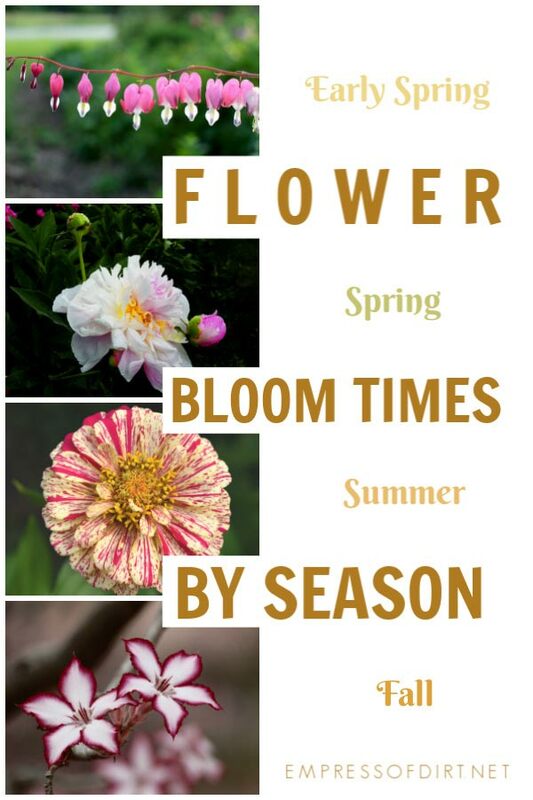 The bloom times are listed from late winter to fall in the (approximate) order that they appear. 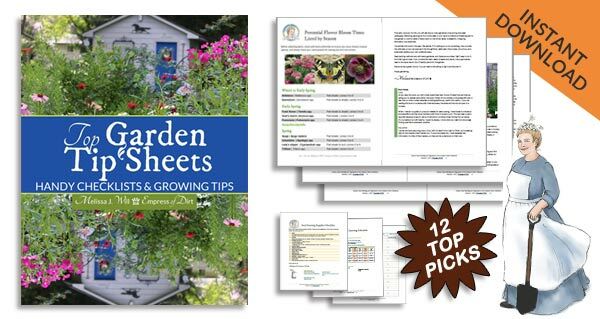 Thank you for the guide as it will help me with planning and dreaming of my new garden next year as I move to our great North here in Ontario! Do you have the time to give me guidance with a good reference for gardening in the North in a 4A area with a 55 days growing season? The internet search has not been fruitful for me. I completely understand if your schedule does not give you the opportunity to do such a request. Thank you either way from a happy subscriber.